There is no treat better for a Halloween party than homemade cupcakes. Store bought miniature cakes just don’t cut it like the homemade version. Kids love helping mixing, baking, and decorating all Halloween treats. 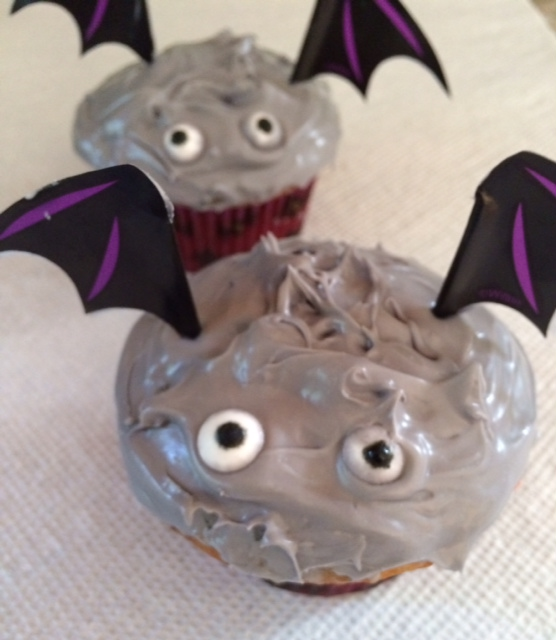 By far the easiest way to make a bunch of Halloween cupcakes, whether it be bats, mummies, witches, or jack-o-lanterns is by using a cupcake kit that includes all the ingredients needed for the project. We used toothpicks with little bat wings to make the bats pictured to the left. A little food dye changes frosting into any color needed. Listed below are our favorite Halloween cupcake kits. You can easily purchase any of the kits by clicking the links below. Love these! We just made spider cupcakes yesterday 🙂 Yay Halloween!